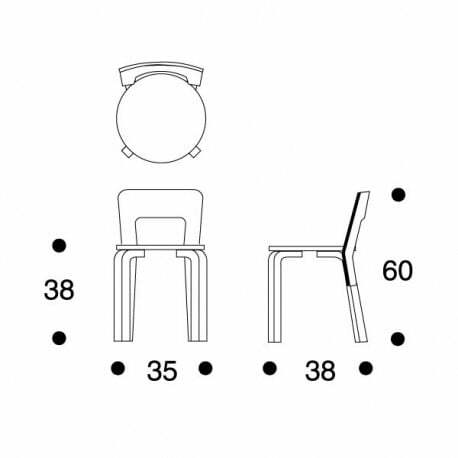 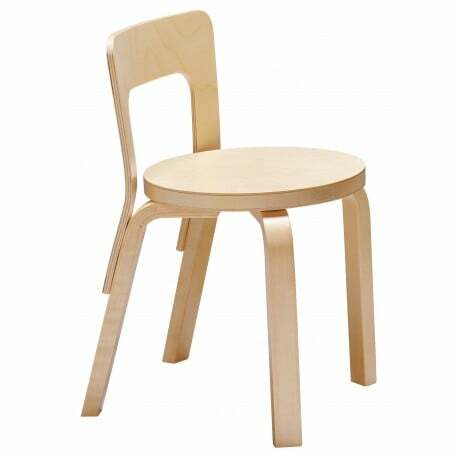 Artek Children’s chair N65 is the smaller version of Chair 65 by Alvar Aalto. 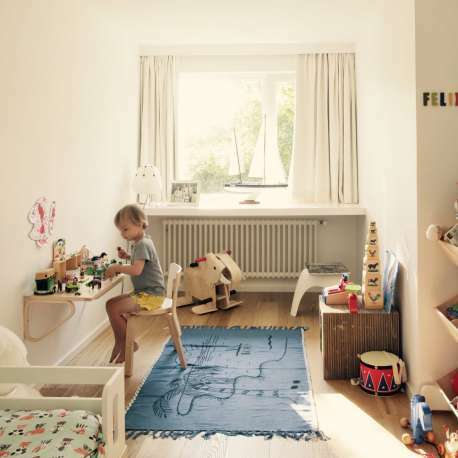 Timeless and sustainable design for the entire family. 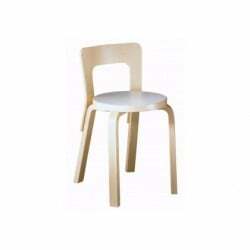 Fast delivered at home from stock. 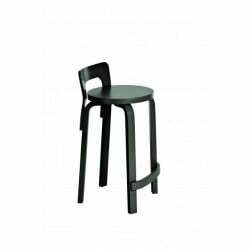 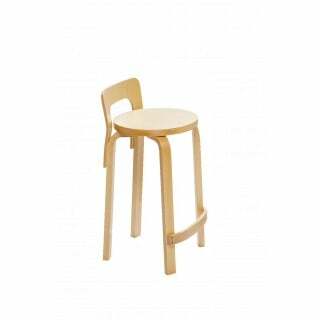 Artek Chair 65 was designed in the 30ies by the Finnish architect and designer Alvar Aalto. 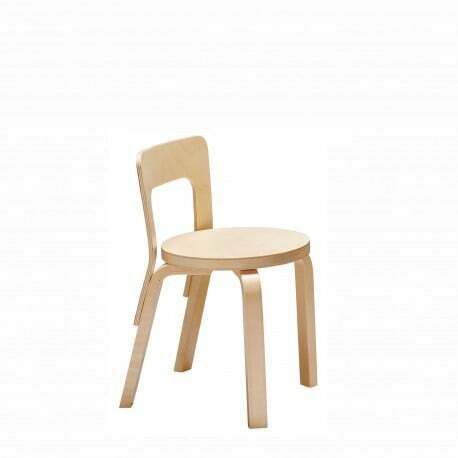 With its simple and compact design, this chair fits beautifully in contemporary interiors. 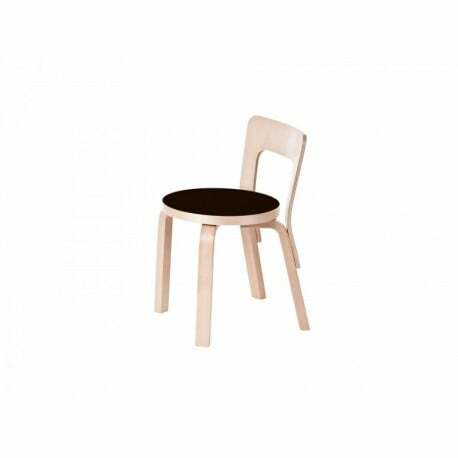 The legs and the back of the Artek Chair 65 are always made of natural varnished birch wood. 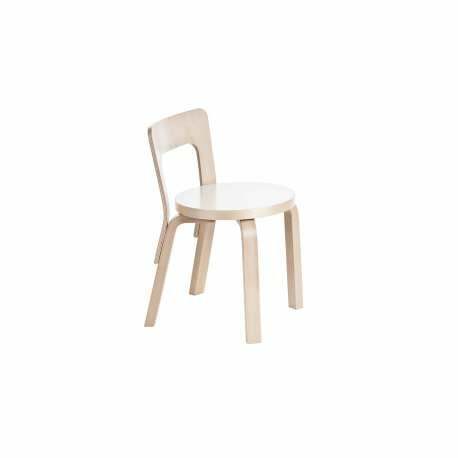 For the round seat, you can choose from birch wood, white laminate or black linoleum.